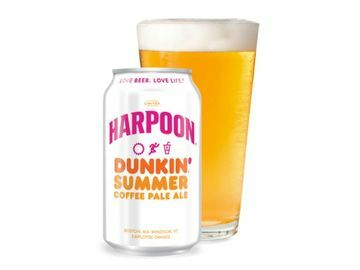 Baseball season is officially in full swing and Dunkin’ Donuts is keeping America’s pastime Running on Dunkin’ through various partnerships with baseball teams and players throughout the country. With the MLB® All-Star game taking place yesterday, we thought we would give you our very own All-Star lineup of Dunkin’ Donuts’ baseball partnerships. Some streaks are meant to be broken, but apparently that cannot be said for Joe DiMaggio’s 56 game hit streak which he accomplished in 1941. MLB introduced the “Beat the Streak®” game 13 years ago (it has since turned into an app) where you choose one player a day to get a hit and if you are skilled enough to break the streak of 56, you get paid ($5.6 million to be exact). This may seem like an easy task, but nobody has accomplished it in the 14 seasons this game has been taking place. 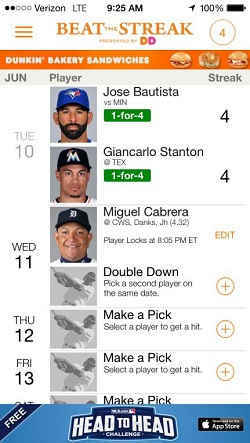 The tricky thing is that if the player you choose does not get a hit your streak goes back to 0. 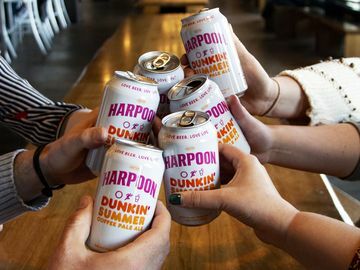 This year MLB and Dunkin’ Donuts are teaming up to help someone Beat the Streak and win the money by adding a helpful twist. If your streak is in the 10-15 day range and you do not get a hit, MLB and Dunkin’ will give you a mulligan. Be sure to download the app on Google Play or the App Store and play along! Two staples of New England have teamed up to form quite the combination: Red Sox slugger David Ortiz and Dunkin’ Donuts. Big Papi has and will continue to appear in radio, TV, and social media channels in the Greater Boston market for Dunkin’ Donuts. Bostonians may have even seen him pass out our Iced Coffee during our most recent Iced Coffee tour. Baseball in the Big Apple Run’s on Dunkin’! 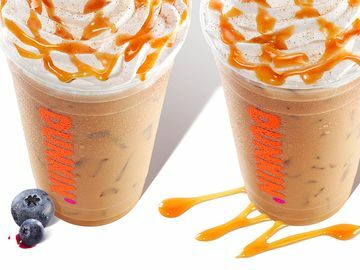 Dunkin’ rolled out a program this Spring, in Metro New York, giving guests a great reward when either the Yankees or Mets won. 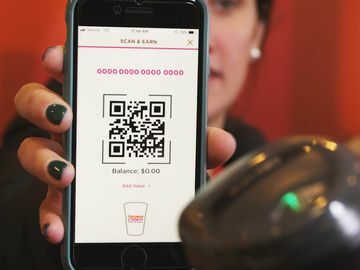 In June, for every Mets or Yankees win, Dunkin’ Mobile app users were given a $0.99 large hot coffee coupon within the Metro NY market. This offer may have been the first time ever Mets fans were rooting for the Yankees and Yankees fans were rooting for the Mets! The Metro New York area also recently launched the Crush the ColDD game. Fans can log onto http://www.crushthecoldd.com/ and select either the Mets or Yankees as their team. Then, they will get the opportunity to hit a ball out into the outfield and get it into one of the three Dunkin' Donuts Iced Coffee cups. If the ball lands in the cup, they have an opportunity to win great prizes, including New York Yankee or New York Mets tickets, or mGifts for Iced Coffee. Even if you do not win, you will still get a great coupon for 20% off your order at the MLB.com Shop! With each play (one per day) the guest is entered into a sweepstakes for the chance to win a suite for them and 12 guests at Yankee Stadium or Citi Field. So if you live in the Metro NY area (New York, New Jersey or Connecticut) head on over to the site to play before the game is over at the end of July! 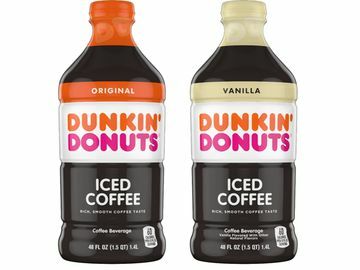 In May, Dunkin’ Donuts rewarded Braves fans and DD Mobile app users in the Atlanta area with a free medium Iced Coffee after every Braves win. Currently, the Atlanta area is offering a $.0.99 Iced Coffee Refill program running through 8/31. This promotion also includes coupons for a free co-branded Braves/Dunkin’ Donuts travel mug and two donuts for $0.99, both while supplies last. 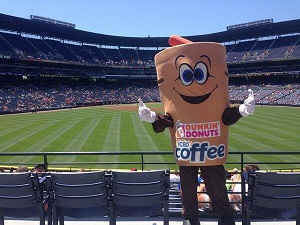 It’s good to be a Braves and Dunkin’ fan! So there we have the DD All-Star Lineup and a big congrats goes out to the American League team for winning home field advantage in the World Series! Let us know on Twitter or Facebook if you’ve experienced one of our MLB partnerships and enjoy the rest of the baseball season!